Happy end of October and start of November! As we’ve just transitioned from our summer vegetables to fall vegetables CSA shares, this seems like a good moment to explain our newsletter schedule – with apologies for having caused some confusion, perhaps! We send out weekly CSA e-newsletters starting with the beginning of our summer shares season – first week of June – through the end of November. This covers our summer vegetables, fall vegetables, and “summer” eggs seasons. Everyone who is receiving any type of share receives the newsletter during the time frame of that share type. So if you’re a “summer” eggs member, we’re still sending you the newsletter now! 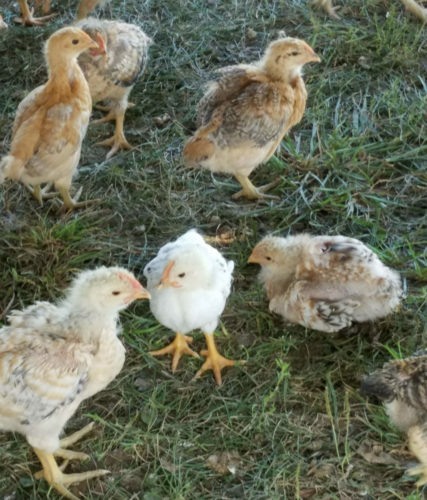 Which raises a few timely questions for eggs shares and frozen broiler chickens shares members: How can the newsletter serve you better? Would you like more egg recipes? Chicken recipes? Which should come first? (Sorry!) More chicken photos and information? This year we’ve tried to include recipes that combined eggs and the produce in our vegetables shares. Has this been useful? Please send us your thoughts and suggestions! Welcome to our fall vegetables CSA season! We’re excited to have six more weeks of sharing our produce, eggs, and/or frozen broiler chickens with you. Deliveries start this week! Please return your boxes! They’re very sturdy (and very expensive), made to be re-used, and we want to keep them out of the landfill. Thank you, we appreciate your help with this! 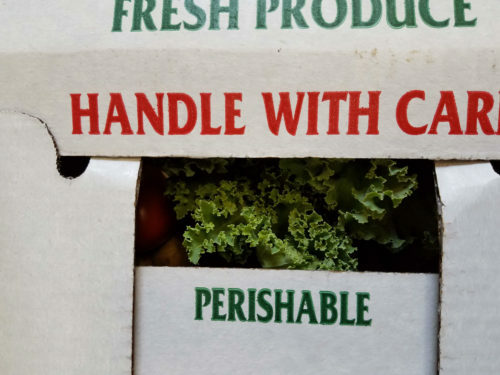 At most of our pick-up sites, our site hosts allow us to put out a “swap box” with our CSA boxes and coolers. If you find something in your share which you can’t use or don’t want, please leave it in the swap box for someone else to enjoy. And if you ever see something in the swap box which you would like, please take it! Thank you for picking up your share between 3-6 pm.! This prevents food spoilage and extra work for our host pick-up sites. Please note: After 6 p.m., your share will no longer be available, unless you have made previous arrangements with the pick-up site. Well, we can hardly believe it, but our summer vegetables CSA season once again is coming to an end – this is the final week! We hope you’ve had a wonderful CSA experience with us: that you’ve eaten very well; that we’ve introduced you to some new vegetable favorites; and that you’ve tasted Iowa summer in every scallion and tomato. Thank you very much again for investing and partnering with us in our CSA program. We’re grateful for your commitment to our dual missions of chemical-free, sustainable farming and providing employment opportunities to people with disabilities and other barriers to employment. We truly couldn’t do it without you!